Spread the word about TOKPIE, refer your friends and you’ll be awarded up to 70% of trade fees they pay. Learn about many other bonuses, which can be received by holding TKP tokens. Check TKP prices on Coinpaprika, trade TKP token here. Know more about TKP. 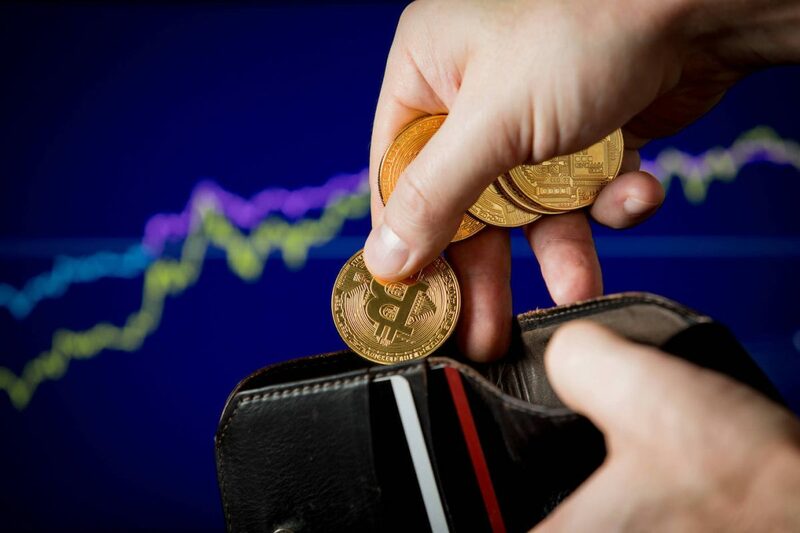 The fee commission will be earned by you as your referee completes each trade and will be paid to you in whatever token/cryptocurrency the original fee was paid in. For example, if a hunter invited by you sold some stakes for 0.5 ETH then 0.0005 ETH was a trade fee. Hence, your earning will be 0.00035 ETH (70%) from that trade. Go to the Cabinet to withdraw your earnings. * The fee commission can be sent to your TOKPIE account only after 100 USD (equivalent) threshold is reached. * There is no limit to the number of friends you can refer. * Each referee must be signed up through your referral link. * There is no point to make duplicate or fake accounts because they will not give any referral bonuses. The shared finances will result in disqualification. * TOKPIE reserves the right to change the terms of the referral program at any time due to changing market conditions, the risk of fraud, or any other factors we deem relevant. 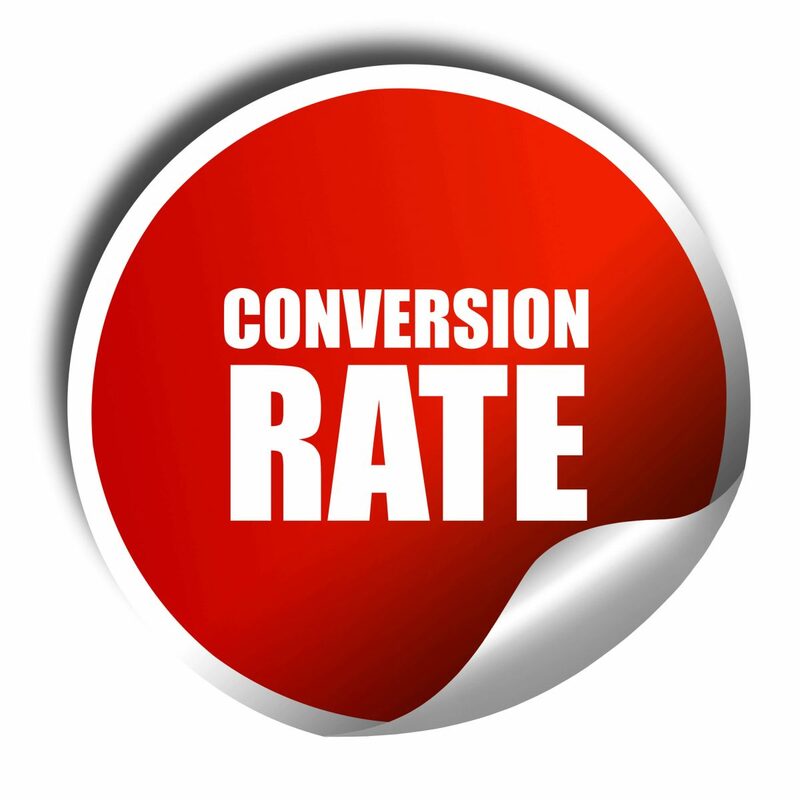 Statistics is being updated every day. Note: There is NO need to pass KYC to get the referral link. To maximize your revenues you can place the TOKPIE banner (see example) with your referral link inside! So, If you have any web resource dedicated to cryptocurrencies or bounties, request our banner code: info@tokpie.com. Allocation of KGT tokens among KGT stakes holders has been successfully done! Congratulations! 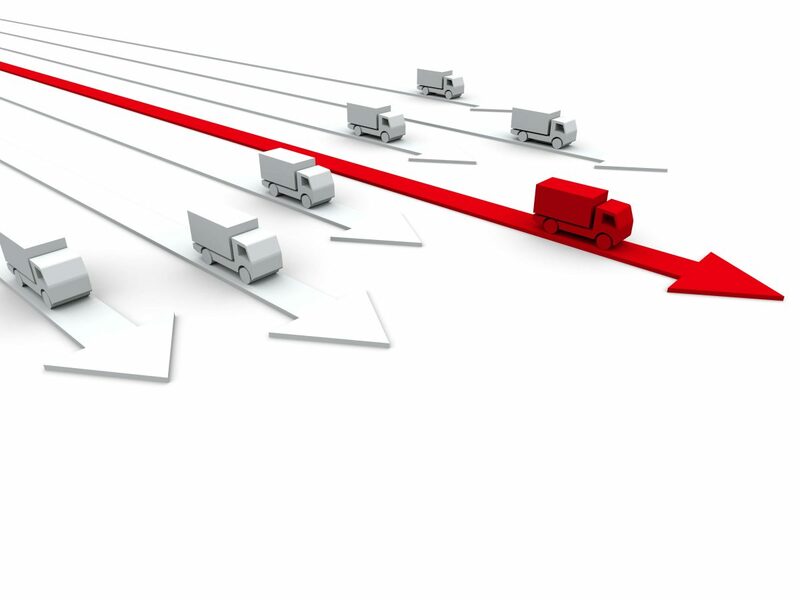 The ‘physical delivery’ of KGT tokens to eligible TOKPIE users has been successfully made. It means that those users who held KGT bounty stakes on their TOKPIE accounts balances after November 12, 2018 (10:00 UTC) have received KGT tokens in accordance with the rates of conversion. For example, if you had 1 [KGT_Stake_Bitcointalk signature_25%] and 10 [KGT_Stake_Facebook_15%] titles on your TOKPIE account balance after Nov 12, 2018 (10:00 UTC) then 84.07 KGT (1 x 79.37 + 10 x 0.47) have been allocated to your TOKPIE account balance at Nov 19, 2018. At the same time, your KGT Stakes balance has become zero. 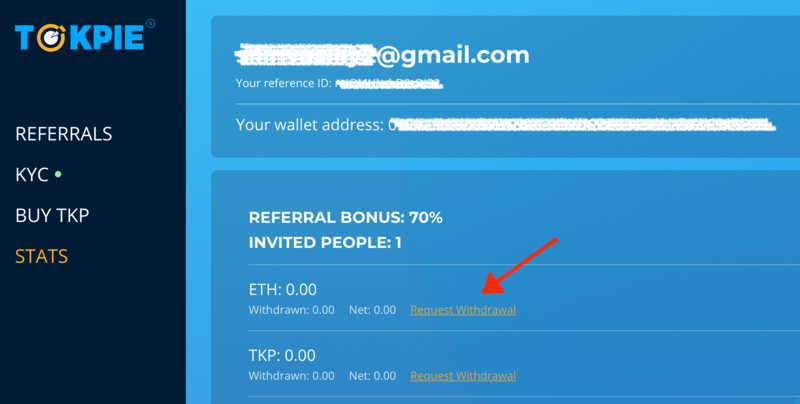 Now, KGT holding users may continue to hold KGT tokens on their TOKPIE accounts or withdraw them at any time. NOTE: Zero withdrawal fee for KGT token will be available until December 20, 2018. All holders of the above KGT Stake titles will automatically receive KGT tokens on their Tokpie account balances, in accordance with the conversion rates revealed, within few days. 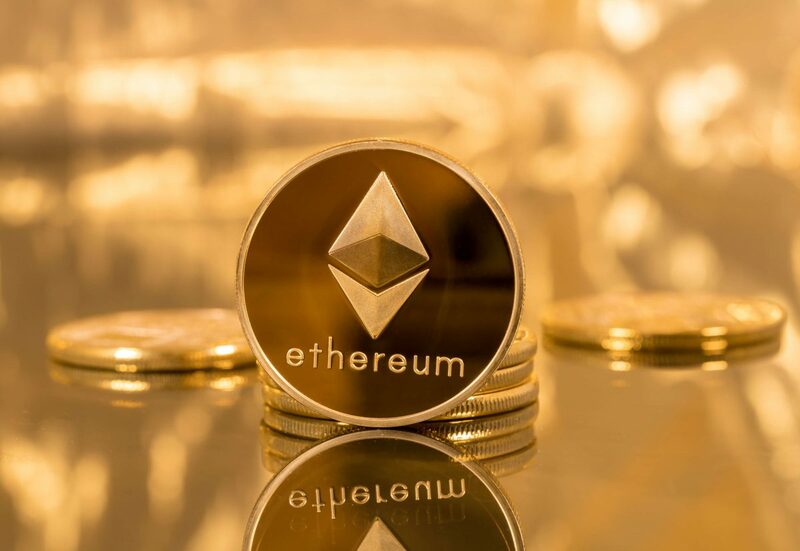 Did you ever dream to get Ethereum (ETH) Immediately for bounty stakes earned + worthy tokens later? Note: Click on the links above to earn stakes, check market depth, current bids, asks, last matched prices and price charts. After stakes depositing, you may sell them instantly or just hold until automatic conversion to tokens of the related projects. 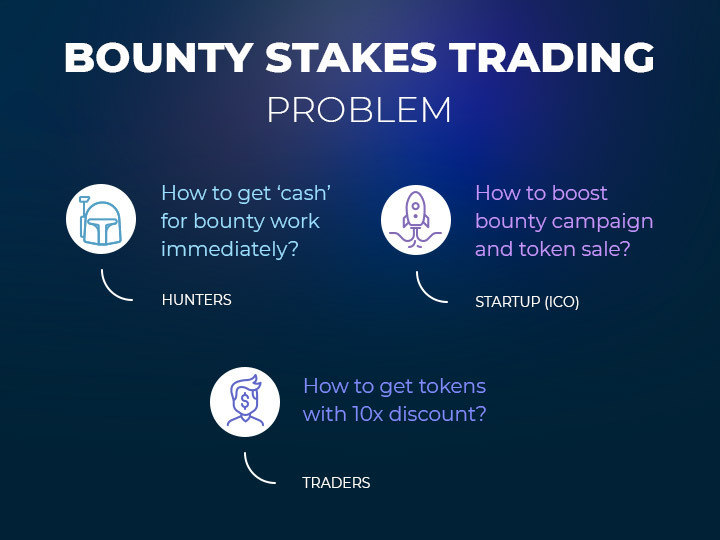 How Bounty Stakes Trading Works? – Inability to receive a reward as soon as the work is done/evaluated. 1. TOKPIE lists the related bounty stakes titles, after partnering with a Startup (ICO). 2. 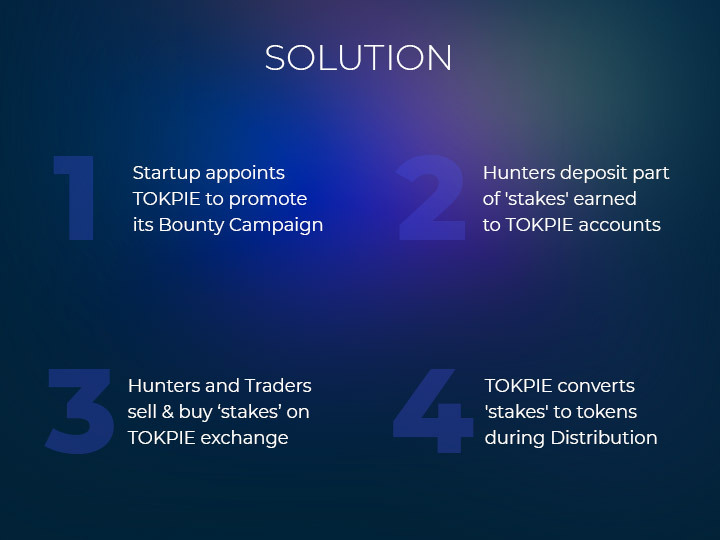 All hunters participating in a Startup (ICO) bounty campaign receive the ability to deposit part of the stakes immediately as they earned on their Tokpie accounts balances. 3. Bounty hunters and investors get the ability to trade deposited stakes for ETH or keep them until execution. 4. TOKPIE converts bounty stakes to related tokens when bounty campaign is over. The result, every stakeholder gets tokens on his/her Tokpie account balance. – Get ETH instantly for up to 50% of stakes earned + tokens later for another 50% of stakes. A: Sure, this is not our first “Get ETH for stakes Immediately” campaign. Check the list of all previous campaigns and our ANN thread to find many feedbacks. Q: Can I try Bounty Stakes Trading right now? A: Yes, click on links on the above tables to earn some bounty stakes and trade them in seconds. 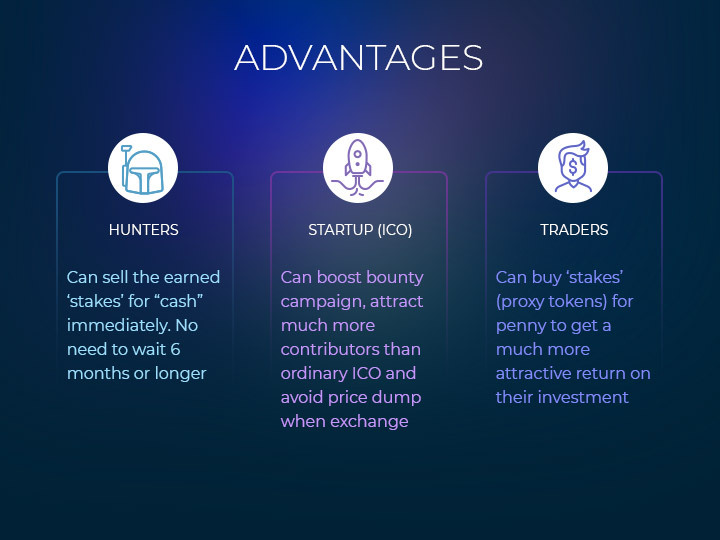 A: TOKPIE is the new crypto exchange platform that penetrates the market by providing a unique Bounty Stake Trading service to hunters and early investors. Don’t know what is your next bounty? Join new telegram channel! To be instantly informed about campaigns where you can get [Ether] INSTANTLY stay tuned on TOKPIE’s new telegram channel. Always stay tuned on the new “CASH for Stakes” telegram channel powered by the TOKPIE exchange platform. Download app, rate it and get bounty stakes exchangeable for ETHER on TOKPIE exchange. Join and messaging on Telegram to get bounty stakes exchangeable for ETHER on TOKPIE exchange. Any telegram users who join our group, will not be eligible for their stakes if they have other ICO supporting signatures on their name. 2 message in week = 2 Stake. Publish a video about Betform on YouTube to get bounty stakes exchangeable for ETHER on TOKPIE exchange. MAXIMIZE YOUR EARNINGS by making VIDEOS for another campaign too! Follow, upvote and comment on Reddit to get bounty stakes exchangeable for ETHER on TOKPIE exchange. 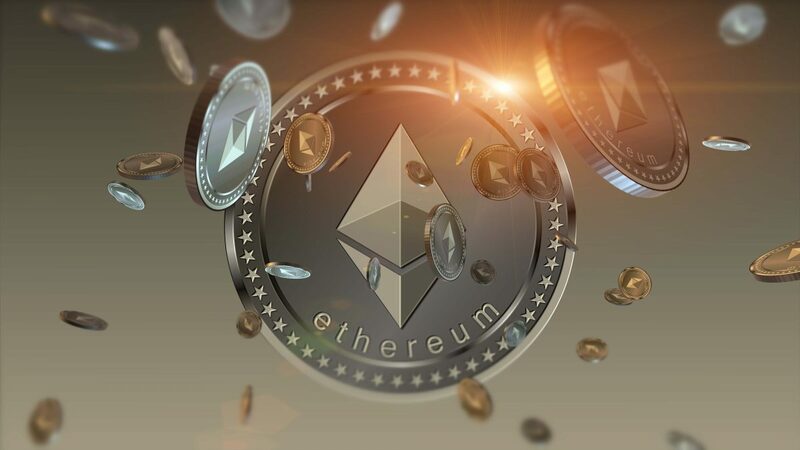 Share on Facebook to get bounty stakes exchangeable for ETHER on TOKPIE exchange.